We are in Hotel Armada for their Japanese Dine. 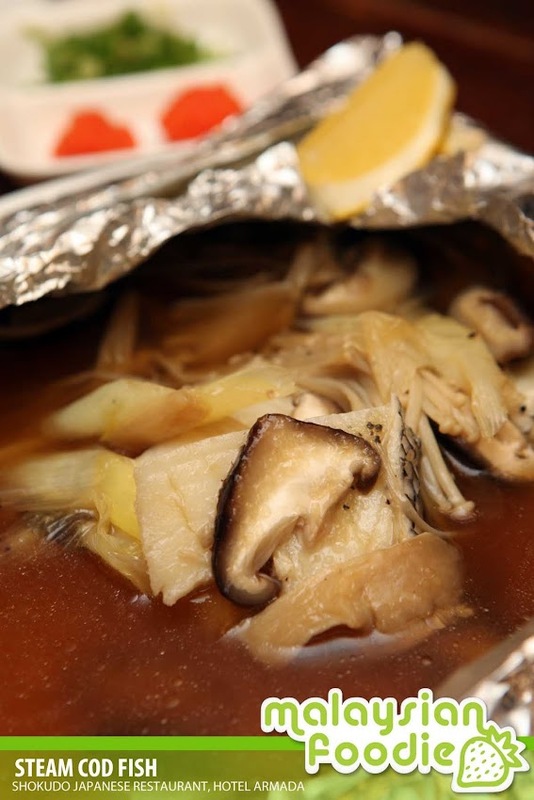 Aside from their famous Hainanese Food, Hotel Armada do serves Japanese Meal as well. The Japanese restaurant – Shokudo Japanese restaurant is well located at the first floor of the hotel is where we are having the review. The hotel itself had recommended the Speedy Lunch which may cater for those working people with limited lunch hours yet want to have some good food. 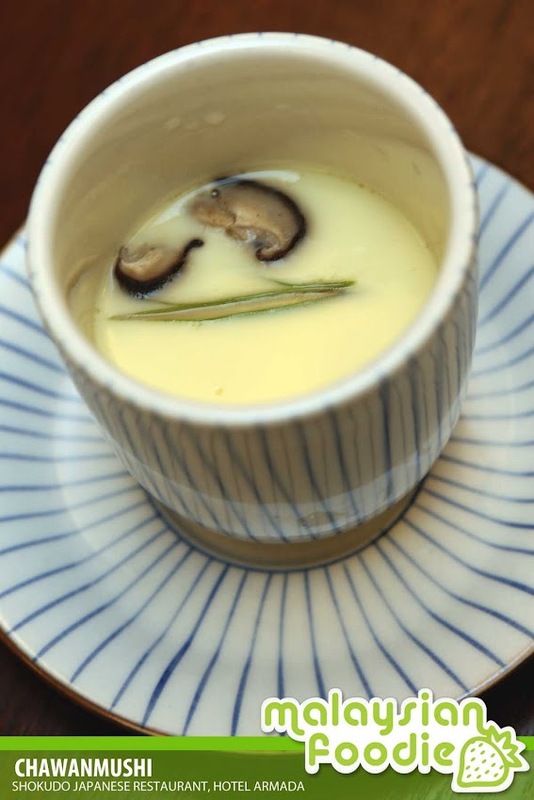 Shokido is a cozy little Japanese outlet which served an authentic Japanese food. 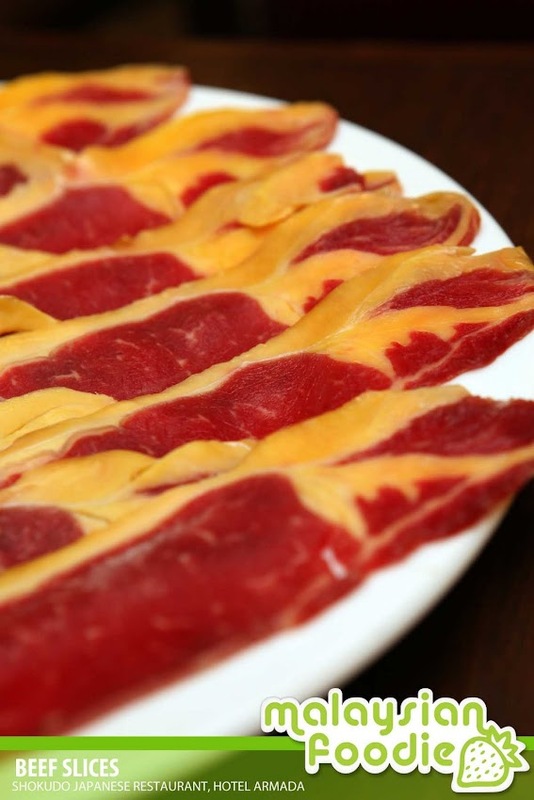 This round, we are happy to try their Japanese Shabu Shabu and the Speedy lunch meals. The ‘Speedy Lunch’ promotion ensures that once your order, the meal will be served to you within 15 minutes. Isn’t it fast? 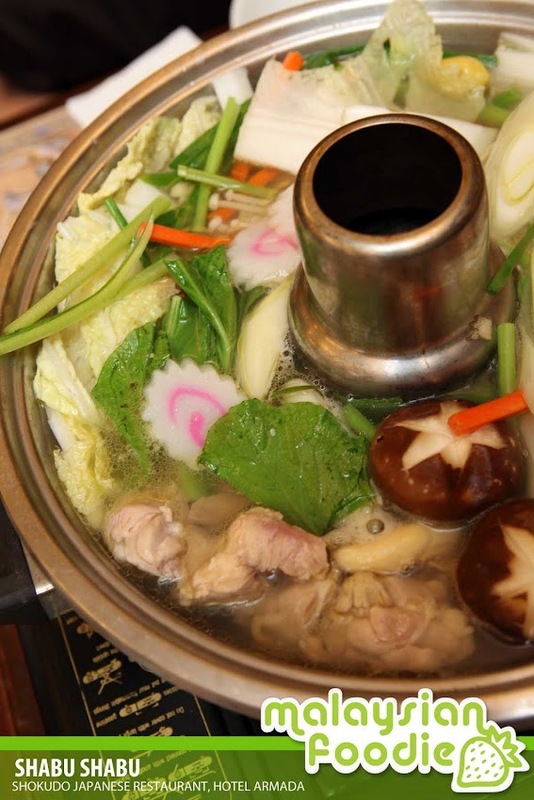 To start with we had the shabu shabu which comes to be simply worthwhile where the shabu shabu is served together with the assorted vegetables as well as noodles, and even beef to come with it. 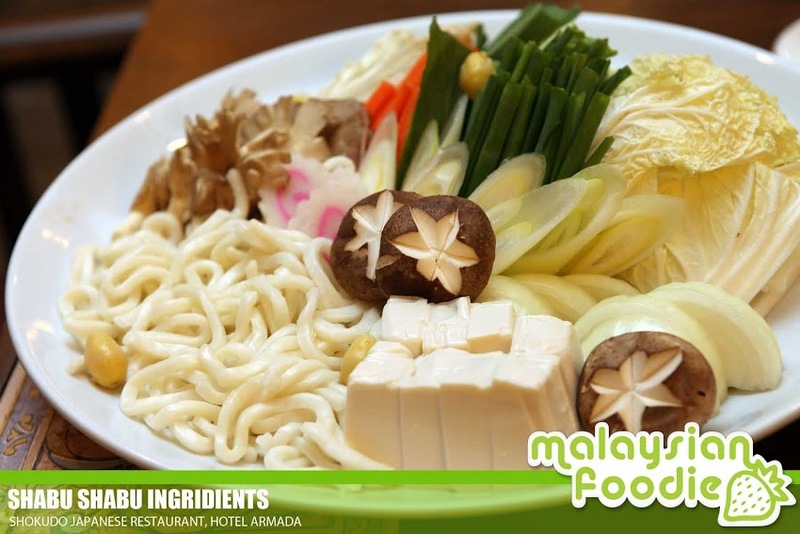 It has lots of ingredient which comes with it where you can find soba noodles, beef, assorted vegetables and more. 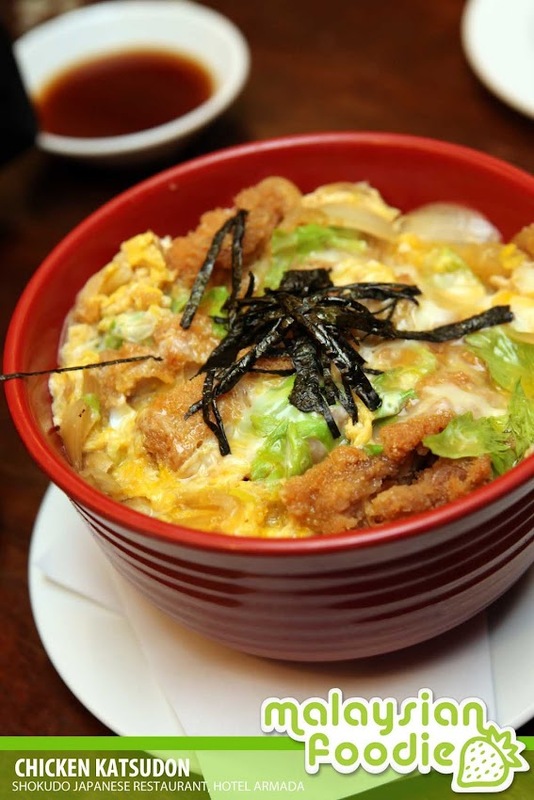 Chicken katsudon is one of the speedy lunches available. A bowl of Japanese rice topped with deep fried chicken, eggs and condiments .The crispy boneless meat is coated in a soy sauce and the portion is indeed a big one too for a lunch. If you are light eaters, you may consider to ordering soft shell crab maki and chawan mushi set. 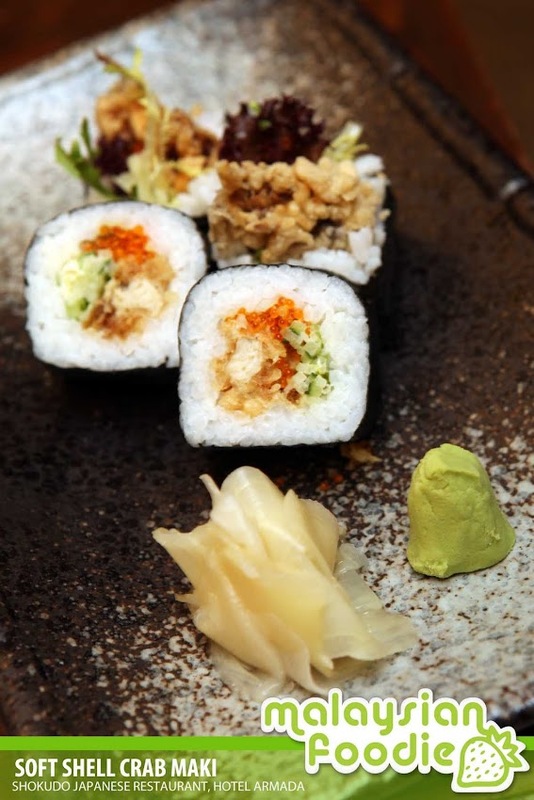 The set is good enough with the crunchy and fresh crab maki and the soft texture of the chawan mushi. The meal is simply good and the taste is simply authentic too. I love them so much. We also had another order of the Tori Kara-Age which is irresistible. 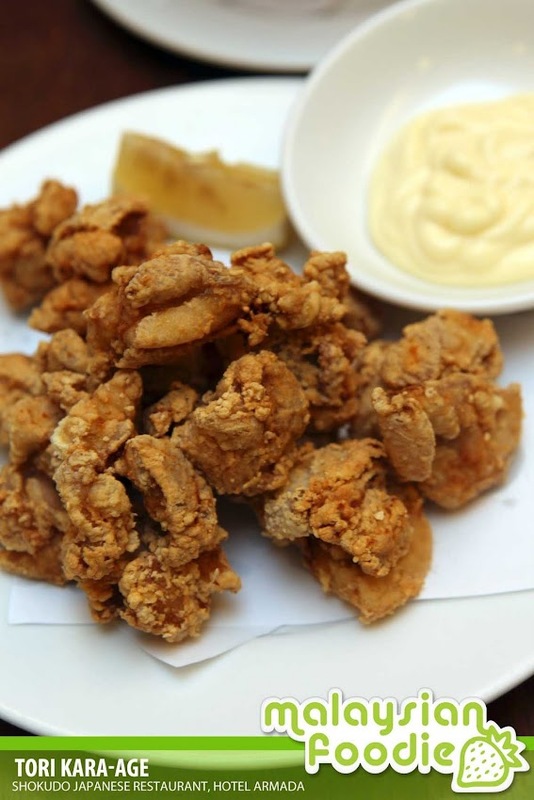 The boneless chicken is superbly crispy and also tasted so nice which I can’t resist it even though I am too full. We also get to try their Upcoming Promotion- Steam Cod Fish which is well done and the taste is good. 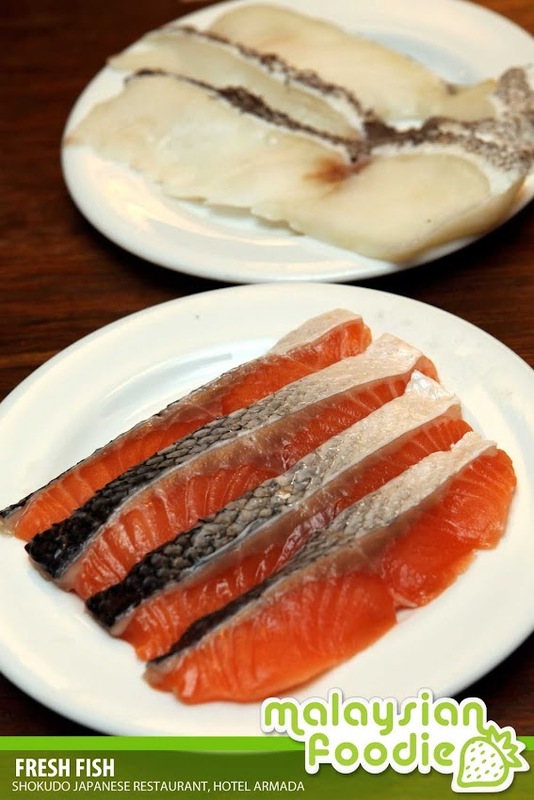 The fish is simply fresh and well mixed and steamed together which really makes me indulge with it as I am fish lover. 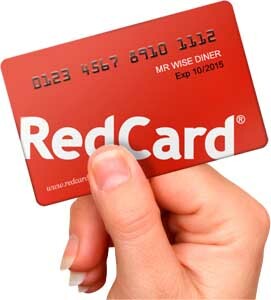 * For Red Card Holder, you are entitled for 30% off. Not applicable on Sunday. Applicable to use on Public Holiday. wow.. now they have shabu shabu in their menu d..
RM15 set lunch looks like a good buy! yup, it is worth and it is nice too. Wow, that’s great food selection and all for that super low price? Since I love Japanese food, must go and give them a try. Yup. You may have a try on their Japanese Food.